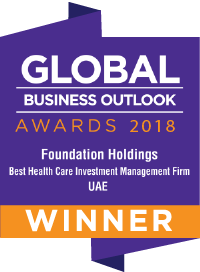 Foundation Holdings invests in the robust, high-growth healthcare, education and consumer sectors in India and GCC. Our company combines the benefits of an impressive operating track record, leadership from established industry captains, and the agile and entrepreneurial nature of a decisive management team, with each individual carrying decades of management and investment experience behind them. Our passionate team maximises value by focusing on core specialty sectors with strong fundamentals, leveraging the company’s network to uncover the most attractive investment opportunities, and sourcing innovative and differentiated opportunities. We’re just as committed to managing risk, using capital allocation limits and ensuring diversification across industry sectors, as well as participation across geographies. We understand that placing an emphasis on free cash flow and per-share value creation is vital to ensuring repeatable success. We target sector-leading companies with potential for sustainable growth, channeling our team’s deep-sector expertise to work side-by-side with partners in order to implement individualized value-creation programmes that transform companies into industry-defining champions. We align with companies whose shareholders see themselves as long-term partners; owners who believe in nurturing their company for the next generation; businesses committed to preserving the legacy of their operations; and those that embrace their values to form a durable culture of sustainability. Foundation Holdings practices differentiated and focused investment strategies targeting India and GCC – a combined USD 4 trillion opportunity. With reach, extensive knowledge and experience, access to state-of-the-art infrastructure, deep domain expertise, quality deal flow and the right capital; our team is able to employ a powerful thematic approach focused on human capital, innovation and youth. We partner with and nurture companies that have differentiated products and services as well as vast potential to become regional and global leaders. However, require management and strategic support, industry guidance and reach. We also provide leadership guidance, intellectual and technological creativity through innovation, and intelligent capital to grow.